Do you like to give out gifts for the holidays to your neighbors, co-workers, and acquaintances? I always like to share something with those around me that I come into contact with a lot but I don’t want to spend a ton on these gifts. Something homemade and cute shows that I went out of my way to make something and shows I was thinking of them while being able to stay frugal! One of the fun ways to get creative is with recipes in a jar! You can make your own homemade hot cocoa with this easy recipe that looks festive and fun and is perfect as diy Christmas gifts! In a large bowl you will whisk together your powdered sugar, cocoa and powdered milk. 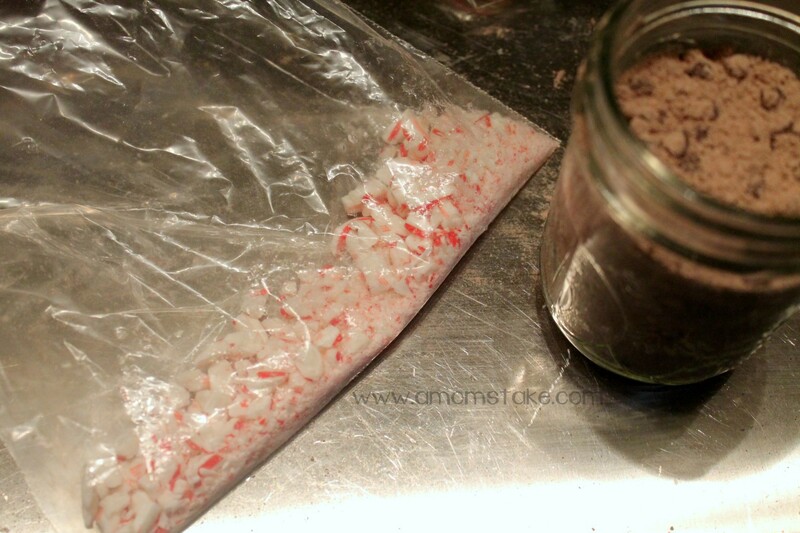 Crush up your candy canes in a ziploc bag. Then, start spooning in your cocoa mix into a pint size mason jar. Alternate layers of your mix, marshmallows, peppermint candy, and chocolate chips as desired. Seal up the jar and tie a simple ribbon or bow around the seal. these adorable tags to make your own homemade gifts in a jar! 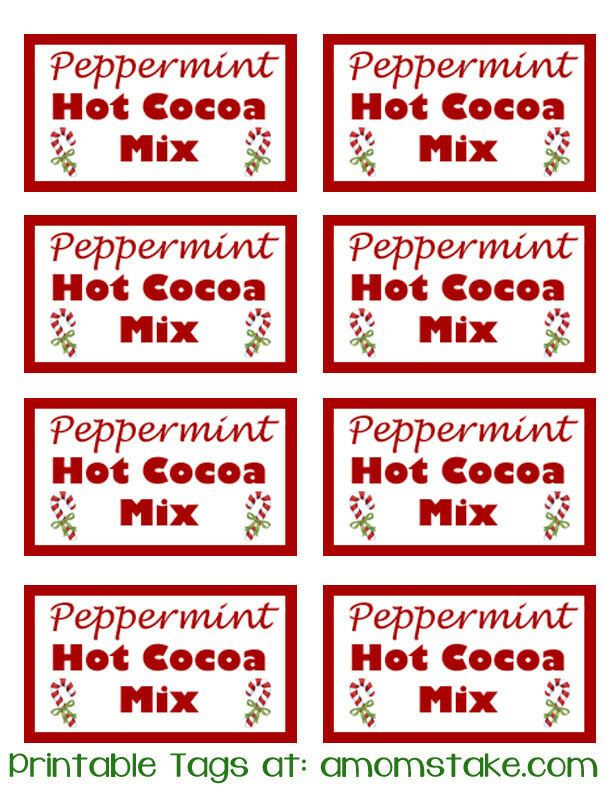 Then, print out these adorable labels and attach to your jars with a simple piece of tape or spray adhesive. The recipe will make 2-3 jars depending on how many other layers you use. Now, you’ve got a super quick and easy gift that is perfect to share with your neighbors and friends this holiday! The mix will stay good for up to a year in a sealed container. In a large bowl whisk together powdered sugar, cocoa and powdered milk. 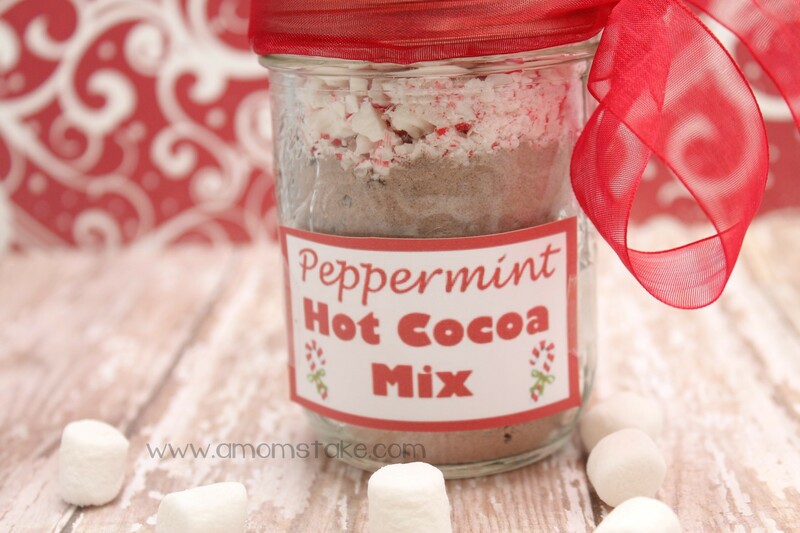 In a pint jar spoon in the cocoa mix, alternating layers of marshmallows, peppermint candy and chocolate chips. Seal Jar and give as a simple diy Christmas gifts to your friends and neighbors. 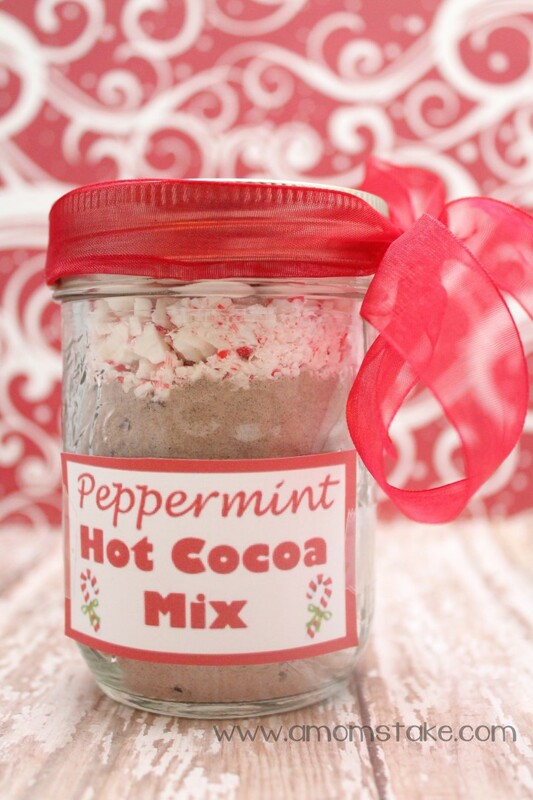 To mix up the hot cocoa, when you’re ready to use it, just use 1/4 to 1/2 cup of mix per 8 oz cup of hot water. Amount of mix to use is based on personal preference on how strong a flavor you prefer. Enjoy! What creative recipes in a jar do you like to give out as DIY Christmas gifts?